On 30 May, Fran McCrae, the COPAC Coordinator, participated in the workshop “Inclusive growth in the globalization processes of developing countries: The role of cooperatives towards the SDGs”. 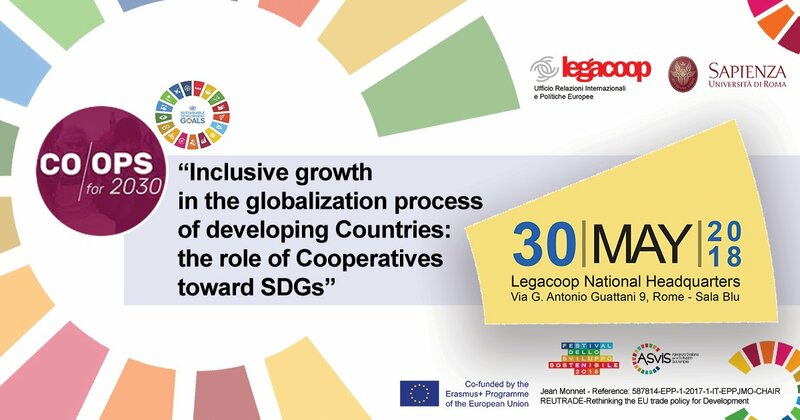 Jointly organized by Legacoop and La Sapienza University of Rome, the event was held at Legacoop in Rome, Italy within the “Cooperative Enterprises in EU Development Projects” university laboratory, as part of the Degree in Developmental Sciences and International Cooperation. This year the workshop obtained the European recognition of “Jean Monnet Chair” for La Sapienza University, connected to the course of International Economic Policy and Development. Ms. McCrae discussed the importance of global support for cooperatives, including mentions in key global policy documents and the role of COPAC in advocating for cooperatives as key actors in sustainable development. Event attendees included representatives of the Italian cooperative movement and La Sapienza students.